Our Independent Study and Mentoring (ISM) Program is for both the emerging and seasoned artist. The program allows you to hone skills among a vibrant and creative community. 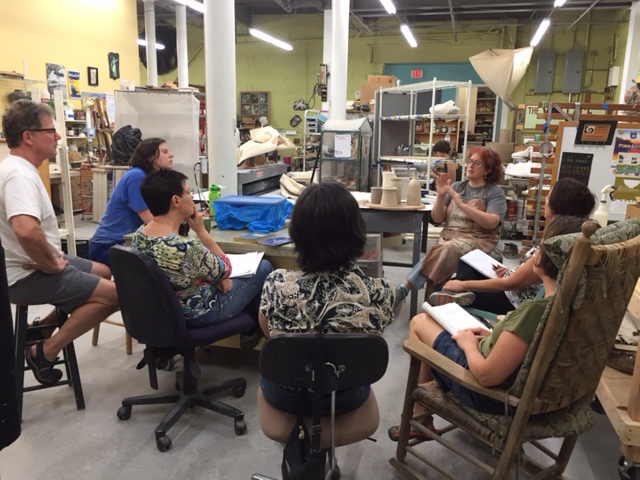 This 1-3 year study is built upon the historical tradition of learning with master potters. As a student, you receive individual input from seasoned professionals. You’ll be immersed in a flexible environment that is perfect for developing a body of work that is unique to you. 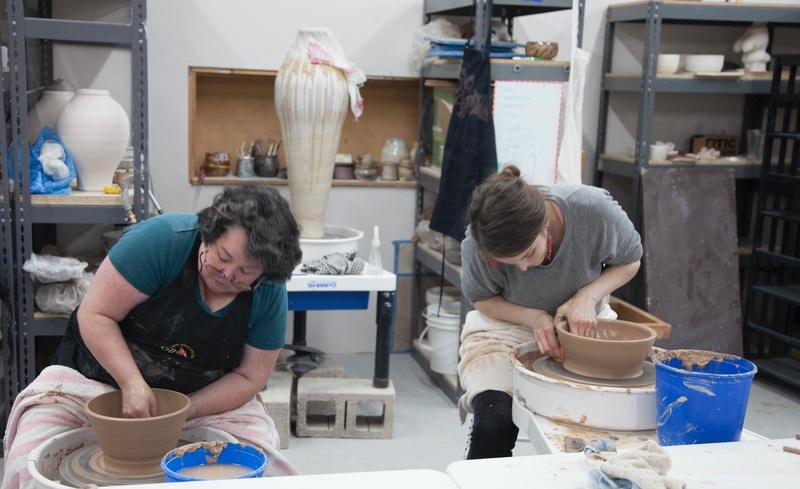 Whether you aspire to earn a living in ceramics, or simply wish to create more space for clay in your life, our ISM program provides the structure to live out your artistic dreams. 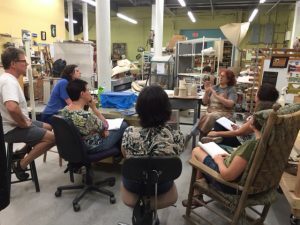 The ISM program may be right for you if you are an emerging potter, or if you have been working with clay for years but wish to explore new avenues in your work. 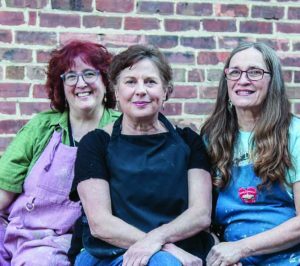 The ISM program allows potters to have regular access to a studio (7 days a week), community with other potters, opportunities to explore multiple firing techniques, mentorship and instruction from professional and teaching ceramic artists. We believe that in two years a potter can hone their skills and develop a unique body of work that will equip them to launch into a variety of creative clay pursuits. This program, like all things at The Village, is designed to be highly relational, and in many ways custom to the goals of each ISM student. 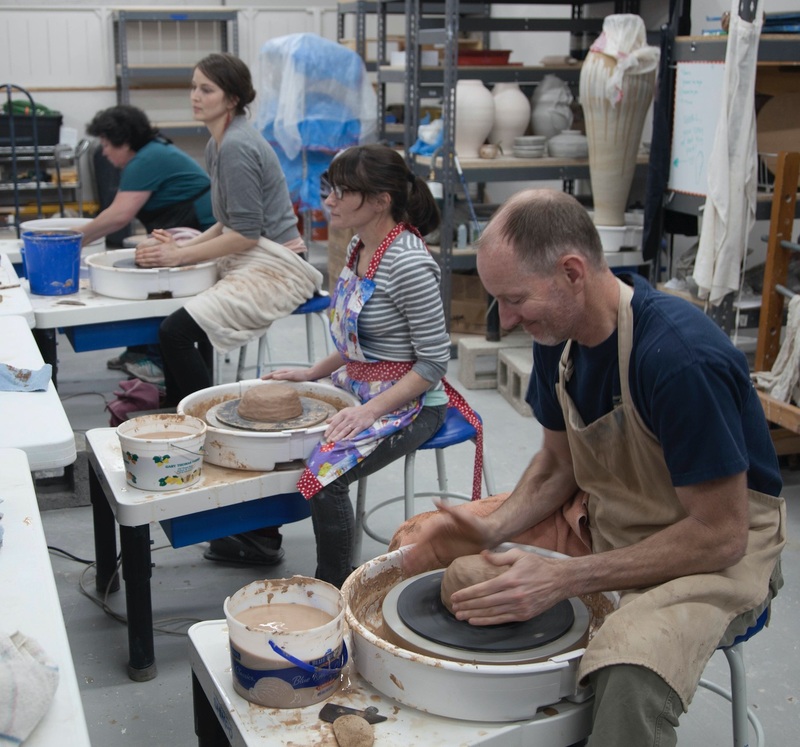 Whether you plan to be a professional potter or a part-time creative, this program will afford you the opportunity to go as far as you wish. *Apprenticeships (scholarships) available on a competitive basis. Please inquire if interested. 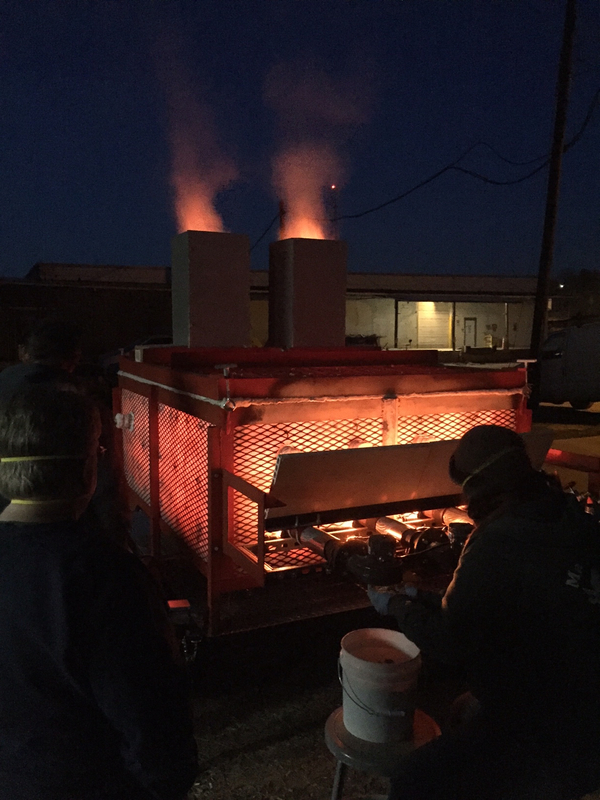 For additional information or questions contact us at info@thevillagepotters.com or call us (828) 253-2424. Contact info@thevillagepotters to request info on how to apply. Deadline to apply is Friday, August 23rd, 2019 for November 1st, 2019 entry into the program.